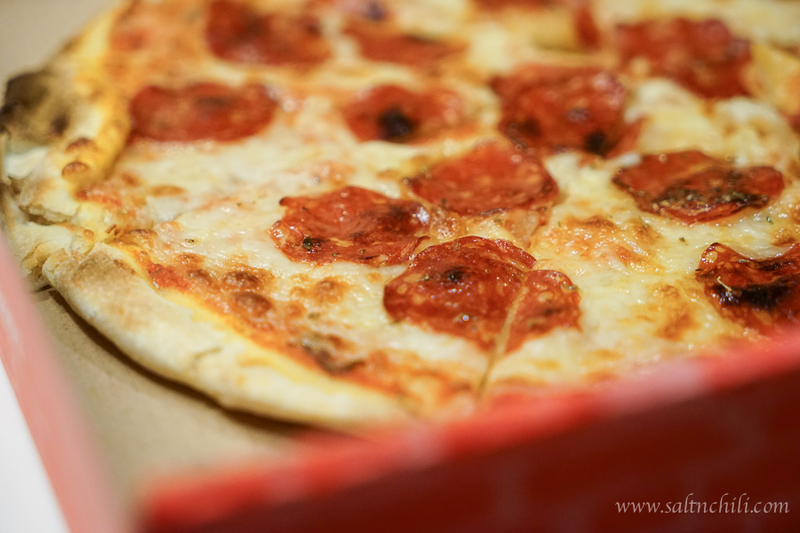 There are quite a few online food delivery services popping up in Hong Kong these days and I have to admit that I’ve tried many of them myself. One of my recent fave delivery sites has been foodpanda. With just a few clicks on their website, you can have a delicious meal delivered to your doorstep. » Accurate delivery time – Each restaurant will list the estimated delivery time, and from experience I’ve always received my food within the quoted time. » Customized menu selection – I love how they have customized the menu selection of each restaurant. 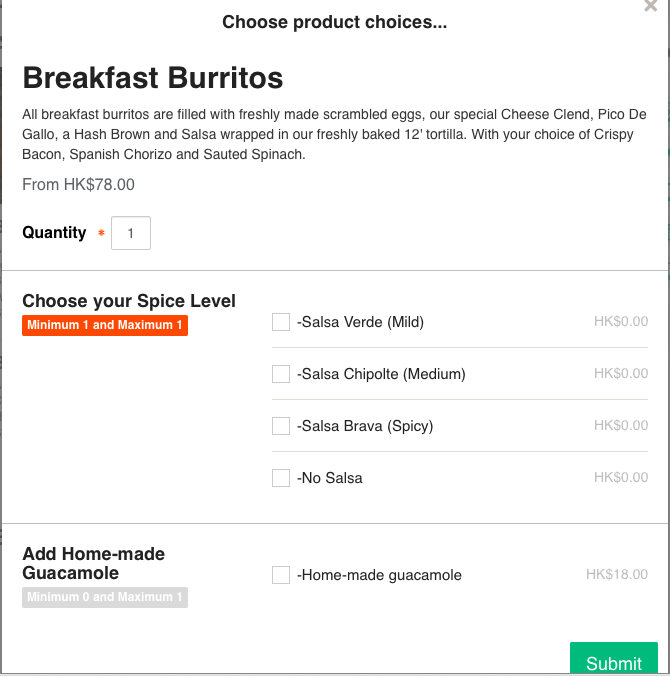 Say you were to order a breakfast burrito from Cali-Mex, you would be able to select your spice level and opt to add guacamole from the pop-up menu. Most other websites will just give you a text box to type in your preferences, and to be honest, I always worry they will mess up my order. So no ambiguity with foodpanda orders! » Options are affordable and the minimum delivery $ is reasonable. 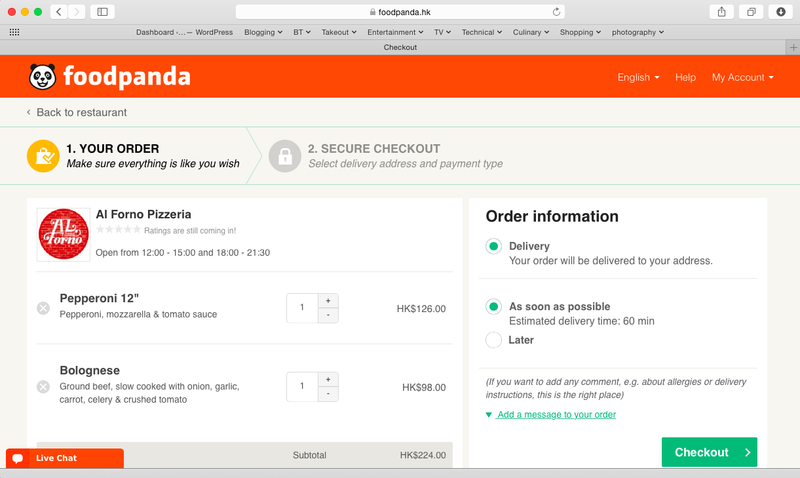 On average I pay about $200 for my orders from foodpanda, but of course depending on what you order, that can vary. 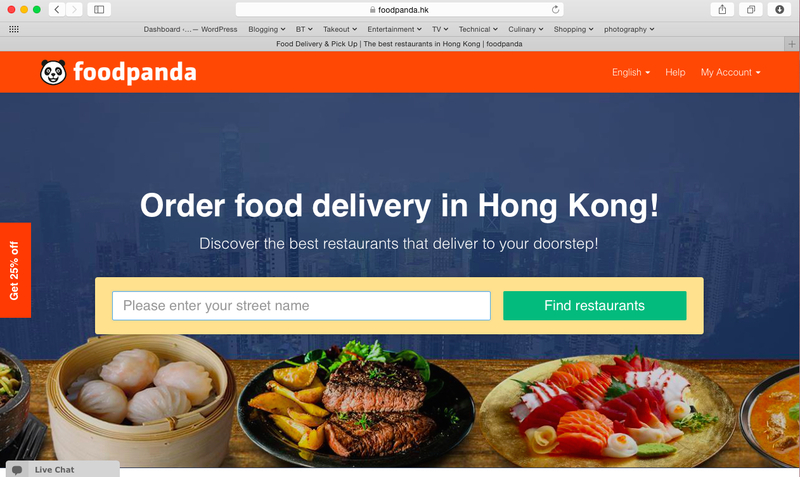 » Promotions – There are always attractive discounts with foodpanda (like 25% off your order), you just need to keep an eye out for them. 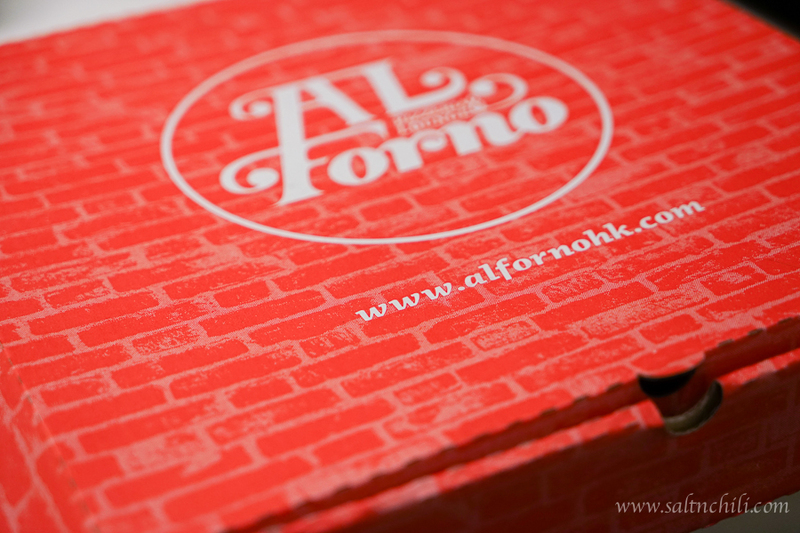 That night we chose to order a Pepperoni Pizza and Bolognese from Al Forno with an estimated delivery time of 60 minutes. There was a 10% service charge tagged onto the sub-total and we made payment with a credit card. As confirmation of the order we received a SMS and an email. To my surprise, we received the order in about 35 minutes (amazing)! The food was piping hot and was delicious. Needless to say, we were happy campers! Now tell me, who doesn’t like eating restaurant food in the comfort of their home? So, next time you don’t feel like cooking or too lazy to drag yourself out into the hot and humid weather, try out foodpanda!